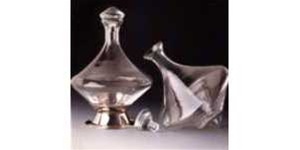 Decanter with silver-plated base and crystal stopper. At 60 oz. and 10½"H×7½"W. Gift boxed.